Due to the fact that it is home to the majority of the population and most of the economy, Malta is far more developed than Gozo. 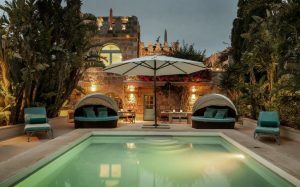 So it is the latter which boasts the most unspoiled and natural scenic charm from hills, ravines, open fields, craggy, ancient rocks, rural landscape and even the remains of megalithic temples However, if you’re more at home in the cosmopolitan environment, then Malta is more likely for you. Both in Malta and Gozo, people are of the same nation and on the face of it, appear identical in every respect. They dress the same, speak the same language, enjoy the same cuisine and traditions. At first glance, you wouldn’t be able to tell the difference between them in a fit. But if you take the time and trouble to scratch below the surface, you will become aware of the fine spun differences. While all Maltese are naturally friendly, convivial people, Gozitans tend to be more earthy and plainspoken than their big island counterparts. Gozitans will more likely nurture personal relationships and tend to me more helpful. This is really only to be expected from a much smaller community where everyone know everyone and everyone’s business. If, however, you prefer anonymity and a little distance, then Malta may be better suited to your character. Hands down it is cheaper to live on Gozo than it is in Malta. A new 3-bedroom apartment in central Gozo with scenic views will likely cost you around €550-650 a month, whereas a comparable apartment on Malta would likely set you back around €700-900 a month. 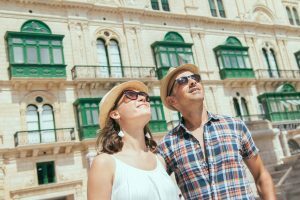 You could expect to pay more than that on the main island if you move to areas like Sliema or St. Julians. 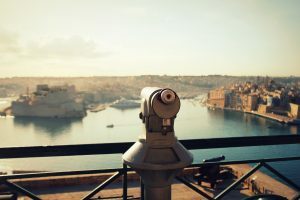 Furthermore, the market is more aggressive on Malta and good properties tend to be snapped up very quickly. 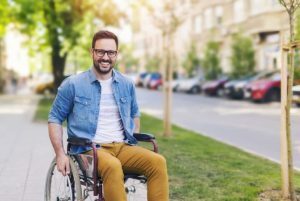 Of course, this is a general comparison and rental prices will always vary depending upon the type of home you want to live in and the location. But, clearly, the small island is the cheaper option due to the simple fact that properties there are less in demand. This is an aspect of life where Malta scores the big points. There is only one airport in the archipelago and that is at Luqa on the main island. To get to it from the small island, you have to take the ferry over to the main island and while that normally only takes 25 minutes or so, the ferries are not always reliable and often sail via Camino which adds an extra hour to the trip. 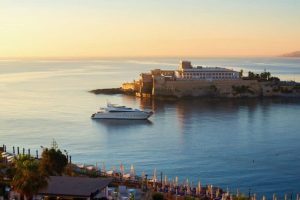 To make matters worse, the ferries are often crowded with tourists (especially so in the summer) meaning that not only will you have to queue up for ages but you will sometimes need to wait until a second, third or even fourth ferry comes along. To put this in perspective, if you are living on Gozo and need to catch a flight from Luqa at, say, 15.00 you would be well advised to leave home at around 09.00 in order to ensure that you don’t miss your flight. 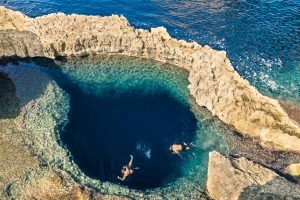 How do Malta and Gozo compare? Did we mention that Gozo is a less developed, smaller and more intimate kind of place? To be sure, if you have read this far, you already know this. So it should come as no surprise that in terms of leisure activities and nightlife, there is a very little comparison. If you want to spend your leisure time in multiplex cinemas, theatres, fancy restaurants and shopping malls then Malta is where you will find all those things. Gozo does have a cinema, a bowling alley, plenty of pleasant pubs and perfectly adequate grocery stores. But if your tastes run more to the “bright lights, big city” kind of life then maybe the big island is where you head. So you’re thinking of relocating to Gozo and you know that it is a small island. So you may be thinking that you don’t need a car there. Right? Wrong!! The island may be small but going to your office or on a shopping trip may still involves a round journey of several kilometres. Buses are available but most routes only run one per hour and getting anywhere invariably requires you to pick up a connection in Victoria. So even a relatively short trip of 10km can take you well over 2 hours. Taxis are not a great option either, with “white cabs” only available intermittently. So, in short, you do need a car on Gozo, especially if you intend to stay there or settle. On the plus side, the roads are uncrowded, traffic jams are rare and you can pretty much get anywhere on the island within around 15 minutes. Short of decamping to a desert island somewhere in the South Pacific, you cannot escape that curse of modern life: bureaucracy. Regardless of which island you live on it’s another fact of life that you need to navigate. Malta is the seat of government and the administration but most government departments do have branch offices in Gozo too. However, these branch offices tend to be more efficient due to the simple fact that, having a smaller population to administer, means much lower work volume. 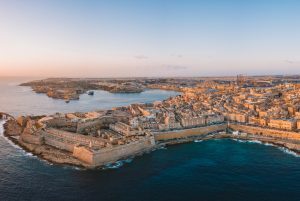 You will seldom need to travel to the capital (Valletta) to get any official documents but be aware that if the branch office needs to send your documents to Valletta and get them back then this is done by post and so can increase waiting times. Leaving aside the cost of accommodation (see above) the cost of everyday living on either island is comparable. Prices for things like groceries, fuel, clothes, household items are about the same on both islands. The same can be said for your discretionary spending on things like beer, wine or dining out. That said, prices may vary from area to area. For example, a good bottle of wine may cost more in an upscale area like Sliema on the main island than it would in any part of Gozo. But that’s a familiar pattern in any place. 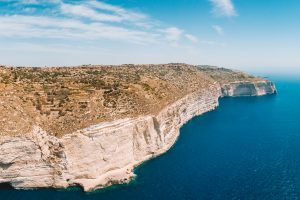 One thing that you will have to factor in to your budget if you’re going to live on Gozo, is the cost of the ferry trips to the main island but when you have registered as a Gozitan resident, the cost of passenger fare falls from €4.65 to a mere €1.15 and the cost of a car+driver fare falls from €15.70 to just €8.15. This is where the comparison between life on the two islands is becomes the most stark. 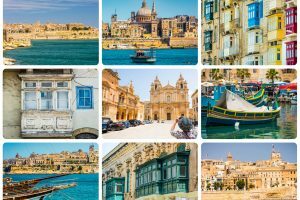 While we don’t have any hard-and-fast statistics, we can in all honesty say that something like 95% of all job opportunities in the country are to be found on Malta and that holds true for both natives and expats alike. So the one big negative about living on Gozo is the sheer lack of employment. Almost all working Gozitans have to catch the 07.00 ferry every morning to commute to their jobs on the main island as very few companies see the benefit of setting up any operations on the tiny island. Even “summer gig” jobs such as working in bars or restaurants are rare. The small island has a lot to offer any expat who wants to live there, just don’t expect to earn your living there. We hope you enjoyed this comparison between Malta and Gozo. Now you know the best of both worlds!